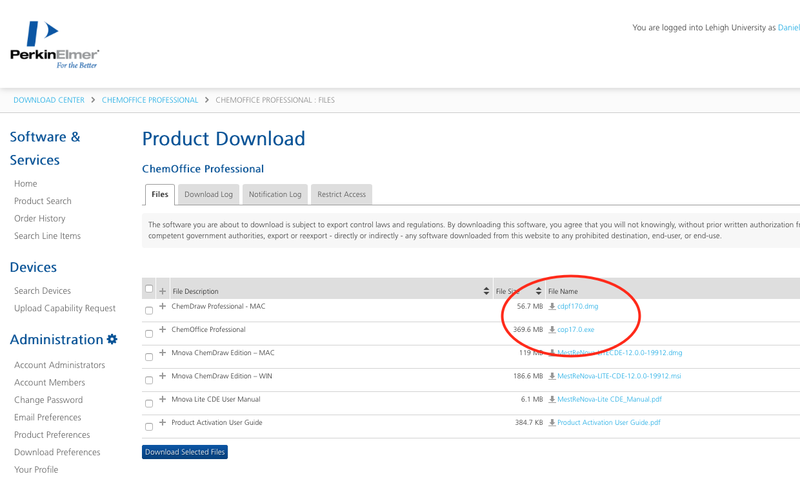 If you're unable to download the current version of ChemDraw from the LTS Software Pages, it can also be downloaded from the vendor's distribution site. In order to download the installation program for ChemDraw Professional, users may need to register with the Perkin Elmer’s ‘Download Center’ using their Lehigh email address. Once registered, the installation files can be downloaded, and the software installed. 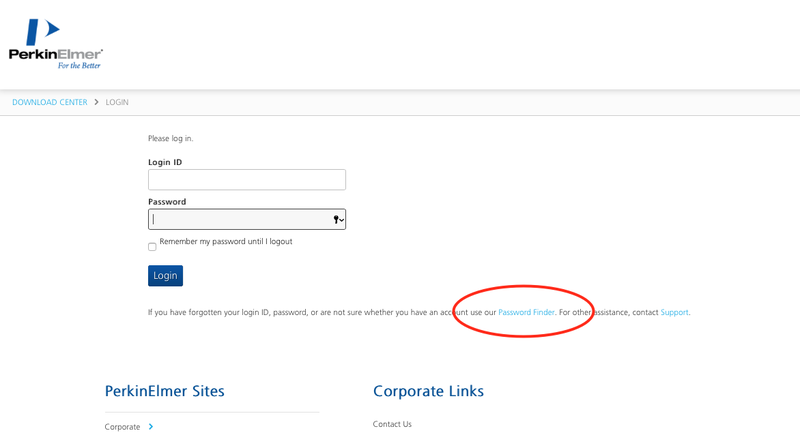 Remember that this password is separate from your Lehigh account and password -- it's an account on Perkin-Elmer's section of their software distributor's site that uses your Lehigh email address as the username. You'll need to keep track of this password separately to access downloads here. Open a browser, and go to: http://gallery.cambridgesoft.com/register.html?FlexeraAccountId=2875SL. If you’ve never used the Perkin Elmer site before, fill in the form with your information. Be sure that Lehigh’s ‘Account ID’ appears correctly: ‘2875SL’, and click the ‘Register’ button, and proceed to Step 3. If you’ve used the Perkin Elmer website in the past, click on ‘Existing User? Sign In’, and proceed to Step 2. If you've downloaded before, click on the 'Existing User? 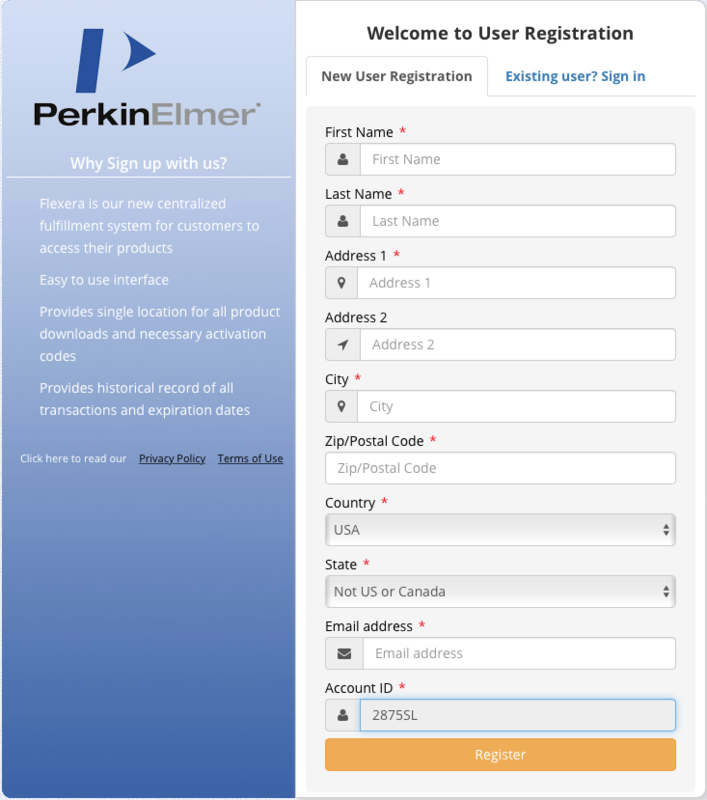 Sign-in' tab, and either enter your Lehigh email address for the 'Login ID' and your Perkin-Elmer password, or use the ‘Password Finder’ to get an email with a link to reset it, and proceed to Step 4. Once you've registered with the Download Center, check your email for an message welcoming you to the ‘Perkin Elmer Download Center’. Click the link in the email to be taken to the 'Password Finder' page. Set your password there, and click ‘Submit’. Check your email again for another email with information about ChemOffice Professional, including the Registration Code, and another link to the ‘Download Center’. 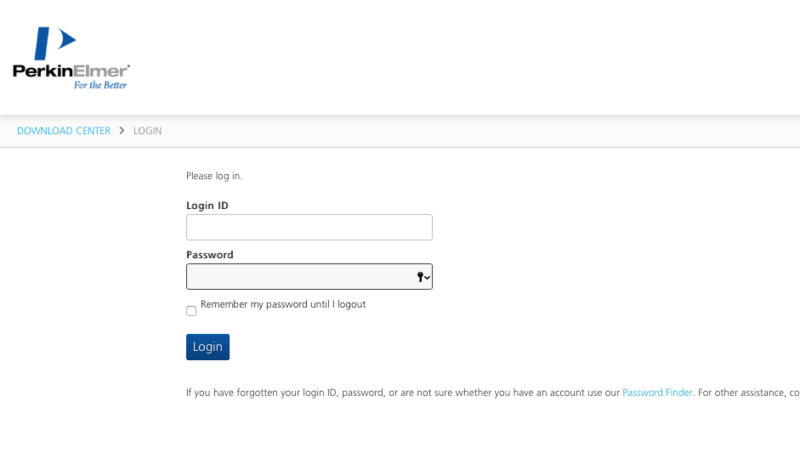 Or simply browse to https://perkinelmer.flexnetoperations.com and log in with your PerkinElmer password. 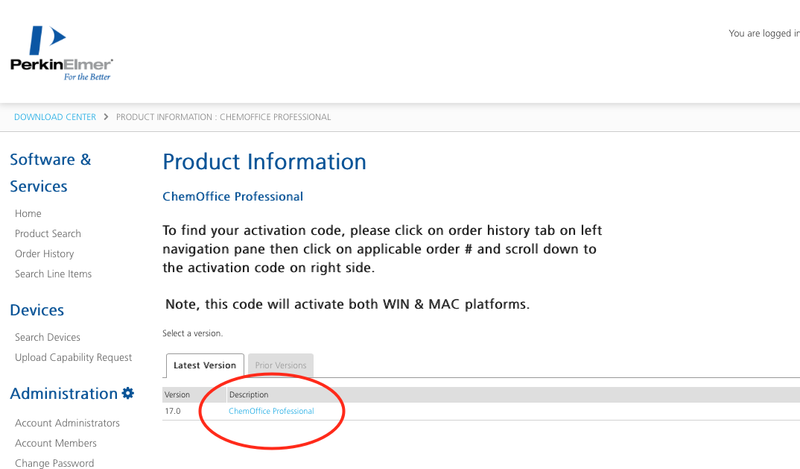 After logging in, you’ll be taken to the ‘Product Information’ page, which will list ‘ChemDraw Professional’. Under the ‘Latest Version’ tab, click on the product name link in the 'Description' field to go to the downloads for that product. Next proceed as appropriate to either 'Install ChemDraw Pro on Windows' or 'Install ChemDraw Pro on macOS'.